Announcement for audiobook lovers! The Audible Romance Package is here. Learn more about the program features, costs, and how to enroll below. This is different than a general Audible Membership. The normal Audible membership program allows you access to audiobooks that are exclusive to certain retailers (generally on Amazon and iTunes) as well as audiobooks that have been published with other distributors. You can use a credit system or pay for your purchases. If you have the ebook already, you may qualify for a WhisperSynced price, which is generally a steep discount to encourage to buy both the ebook and audio. 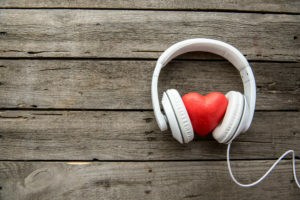 The Audible Romance Package is separate from the main membership program and only applies to Romance audiobook titles. If you’re interested in trying out their program, you can get your free trial with no penalties (cancel within 30-days) if it isn’t your thing. But you should know that the TITAN, DELTA, and ONLY series audiobooks are enrolled in this program! How does the Audible Romance Package Work? The cost is reasonable considering the price of just one audiobook! You can enroll for the cost of $14.95/month or if you’re already a subscriber of other programs, $6.95/month for Audible and Kindle Unlimited members. What if you don’t like it or don’t use it? Easy-peasy. The first month free. Cancel anytime. Not only can you listen to your favorite parts of your books over and over, but you can search for books by character type, steaminess, and themes. It’s a romance book listeners dream come true! And Titan is dominating the military theme, but I’m going to check in to see where all of our guys are! What’s the next step to join Audible’s Romance Package? You have to sign-up and you can do that HERE. “There are no sacred cows I won’t poke fun of. It’s a matter of how much fun to poke of them. “There’s a fine line between poking fun of everybody and picking on a few bad apples in the bunch,” he explains. I believe this real-life attitude lets him take on the personalities of Boss Man, our favorite snipes, the badass woman who save lives and take no BS from the organizations like the CIA or even the powerful White House. If you’d like to keep reading that interview, it’s on VoiceOverXtra. Now if you love listening to Jeffrey as much as I do, it’s time to go check out Audible’s Program. It rocks!